Umaro posted a message on So who's playing under what name on USEast? I'm under Sontag on East. When did you get back to Dfans? I've never heard of that before, but I'm sure a very good reason is because the lag that would start once you start hitting 1000 miles away from each other. A couple hundred ms across an ocean is a LOT. However, they should allow you to play non-ranked games with people that far away. Umaro posted a message on Oh hai! Hey I remember you. You're that guy that never PM'd me back when I seldom wrote in with an administrative concern. Umaro posted a message on Starcraft 2 Beta? Pretty darn good! I can sorta agree that some of the units are not so useful, but that is one of the main reasons we have a beta. A unit can go from useless to useful with a few minor tweaks. You also have to understand it will take a very long time to develop different strategies and find useful ways to use units. New strategies that were never used in starcraft came about YEARS after the game was released, its just up to the players to figure them out. Thats the enjoyable part, learning the new game. Most people like the direction that its going with the sports and I wouldn't say they are dumbing it down at all, they have added new things like chrono-boost for protoss, mules for terran, spawn larva for Zerg, terrain plays a bigger role too, a lot of command Q'ing and much sleeker interface. That is how the original site looked back in 2005. 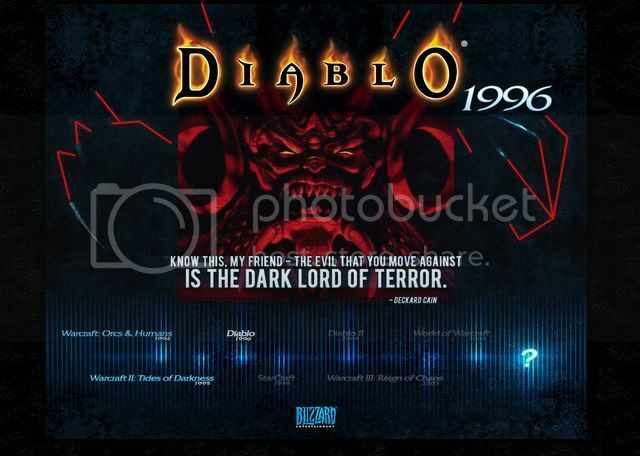 It's bad we lost that layout, it was very original and where it says Diablo3.com with the blue background use to have like a little drop in the pond ripple effect, not sure how to explain it lol. Its good right now, I'll give you that, but I feel like they are not trying hard enough to push the game forward, and trying to hard to make it all sport like. Its also quite... broken and bland in some aspect right now. People will tell me "but its Beta, it might change". And it might not. I've known flawed Beta that "might change" and the release was identical, minus bug fixes. I'm not sure I totally agree with this. The "sport" like aspect is what made Starcraft 1 shine.. it was the fact it was so well balanced that it gave it enough replay value that people played it for years and years and years. Doesn't seem too broken to me, yes there are some balance issues that need to be addressed, and the units might group together a touch too much but I'm not sure what is "broken". Mockery owned the domain in 99, thats all the site was when I teamed up with him. Thats a pretty cool summary. I can add a little bit more info to it. The site was started back around 2001 with layout created by Mockery. 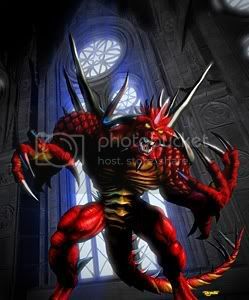 I was former webmaster of diablo2.com and I wanted to start work on Diablo3.com. Not a whole lot happened and we ended up losing the original design. I believe we got some of the original design back and relaunched. I started pushing the Forum a lot back then and that leads up to about 2005. In terms of gameplay, it feels very similar to the original starcraft game. So yes, RTS thingy. That is not a bad thing though. The biggest fear people usually have about Starcraft 2 is that simply fact that it wont live up to the original. However, it seems they are really pushing this game to be a competitive player vs player game and a spectator sport. I've found myself spending hours watching Game replays of pros'. It's very neat, you can see every single click that each player does in the replays, you can zoom in, get all different types of stats like each players units, resources and so on. It's shaping up to be a very steller game! Very good post!! A very fine summary for the majority of people that only come around every few months to see if there are any major updates in the game. Umaro posted a message on Diablofans Launches New Community Driven Wiki. Are you feeling ok? I think by reading his original message he clearly explains why he is special. He is a very old, and well respected Member of the Blizzard community that is going to be updating the sites with news. So introducing himself to our community is needed. So then your making a new group "Web Staff"? In that case shouldn't this be deleted and a new thread be made with correct information? And why are you following my posts? Do you have something against me? It's news because he is the first member of the Web Site staff. He will be writing news articles and be involved with the Content of the site. Super Mods are in charge of forum related duties. Maybe I'll make him a special title. Why is this in the news though? We have another moderator? Did the other moderators get news announcements? Guess med gets special treatment...? If I have to update any type of software/operating system/php,mysql,apache anything the server will come down. Naaa, this update wont be anything fun. Do we get the confirmation emails of our old accounts which we made earlier and could not confirm because the confirmation part of the site was down? No, but if they want they can contact me and tell me their username and i ca activate it. That would be huge lol. But on a scale of any "big updates" from thios site, this will blow them away. Umaro posted a message on Blizzard Posts Teaser Timeline! The red lines match. Coincidence? Umaro posted a message on Blizzard Confirms New Product Next Month! I also hope you are all digg'ing the story!